The best of the best comes first. 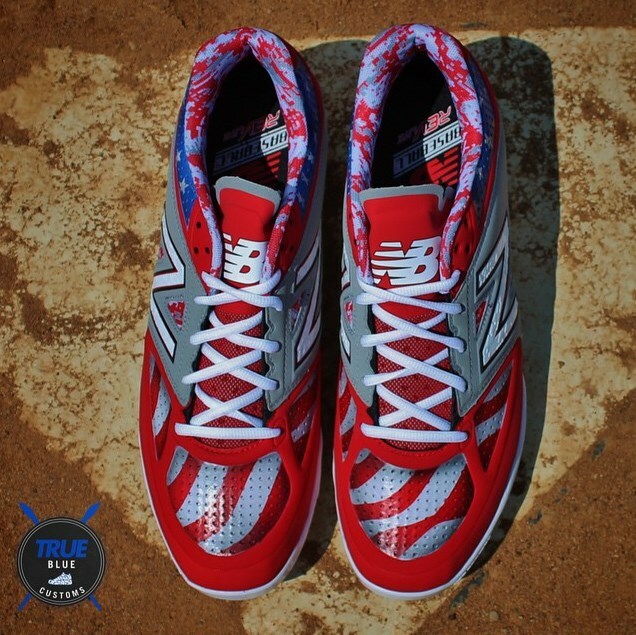 True Blue Customs‘ 4040v2s for Phillies OF Darin Ruf. These are RUFFFFFFF. If you get on base with these and don’t steal every base in front of you then you’re doing it wrong. Tape Kings does great work if you are willing to ship your bat to them. 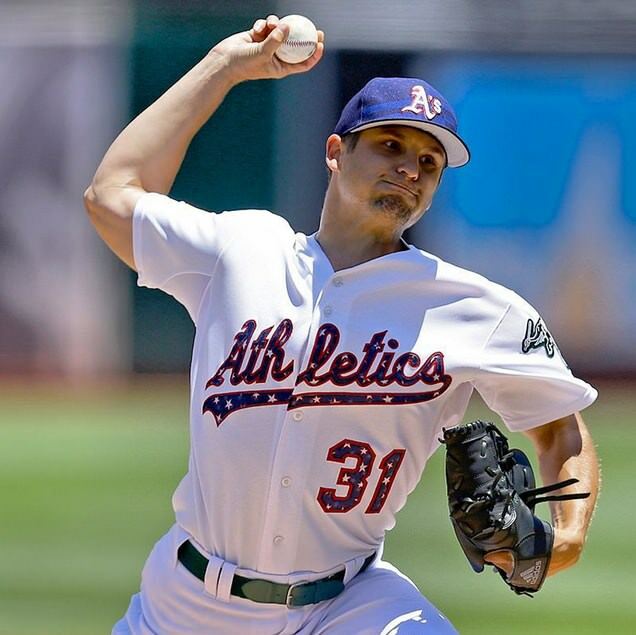 I’m all about these jerseys but how are you gonna go with a green belt there? Nomad Customs did the bottom Nike Air MVP Pro II MCS for Shane Victorino. Unsure on the top pair. 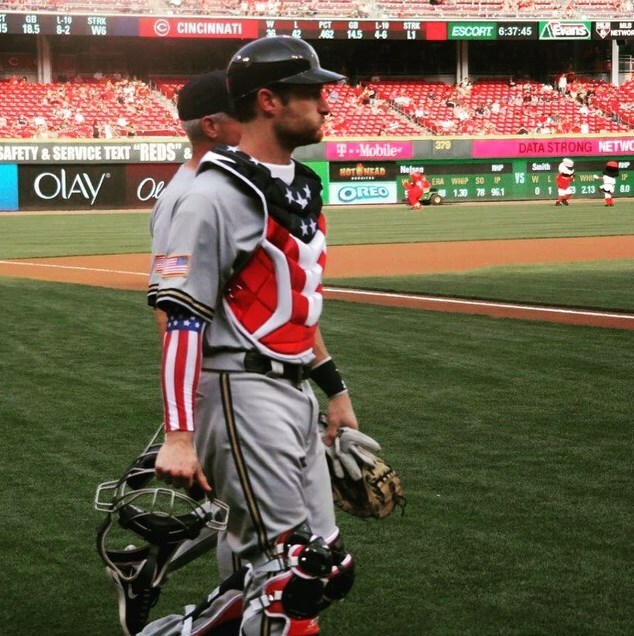 Jonathan Lucroy’s All Star Sporting Goods gear was outrageous. 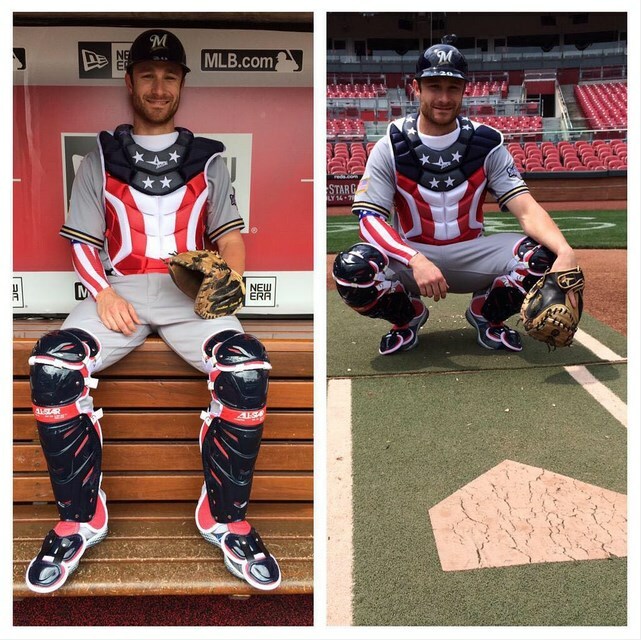 Every catcher in America should have this on the 4th and it should be mandatory dress. 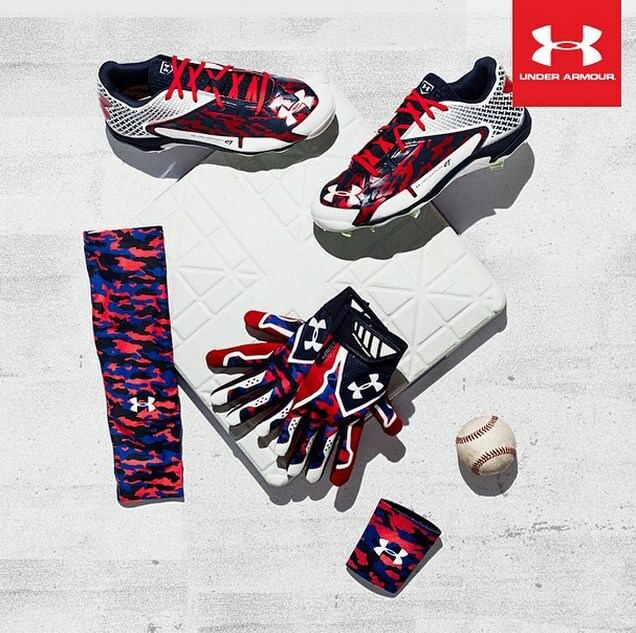 UA.com selling 4th of July Limited Edition Deceptions. 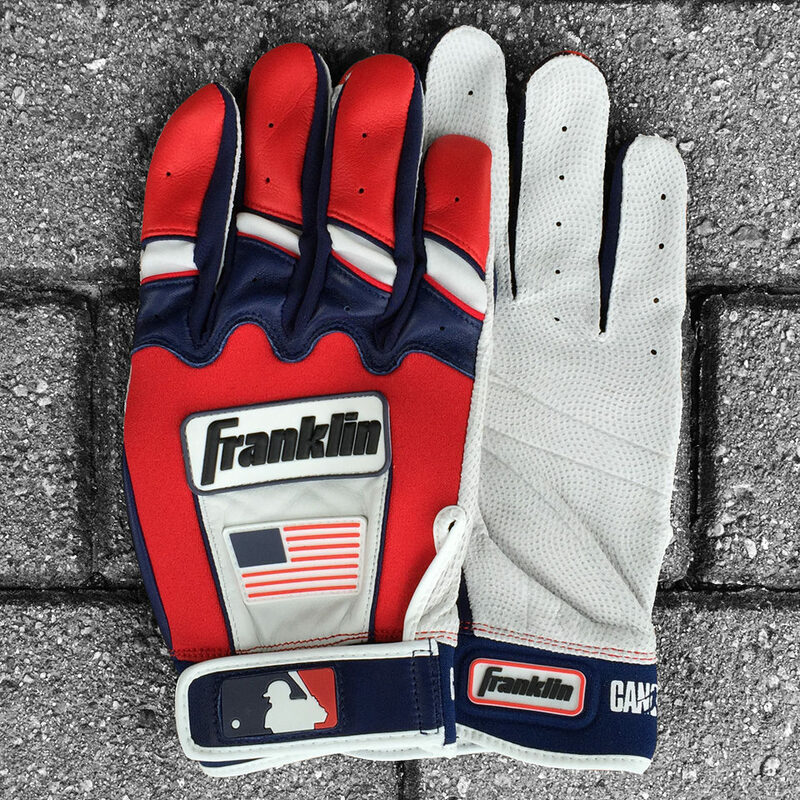 Mizuno‘s BG’s complimented the Stars & Stripes authentics. 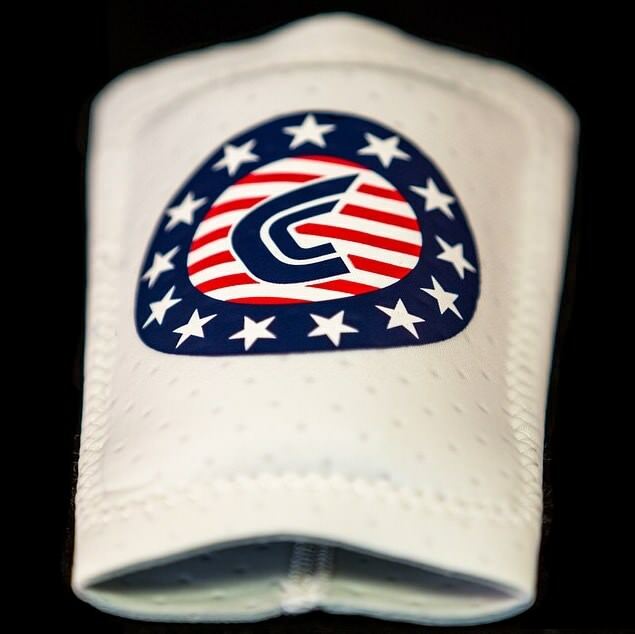 Franklin and Robbie Cano showed their patriotism, as did Cutter—check our Instagram for their entry in the batting glove category today. 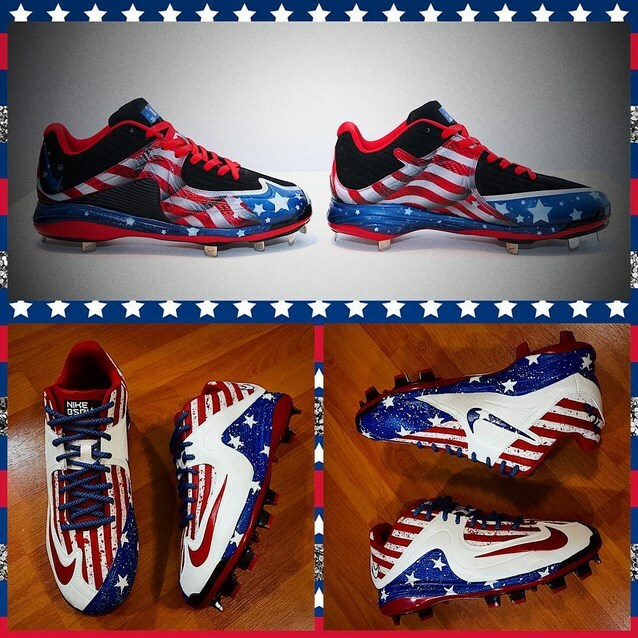 Dexter Fowler wins the award for Most Patriotic (and Conveniently Cubs-Oriented) Nike SHA/DO Trap. 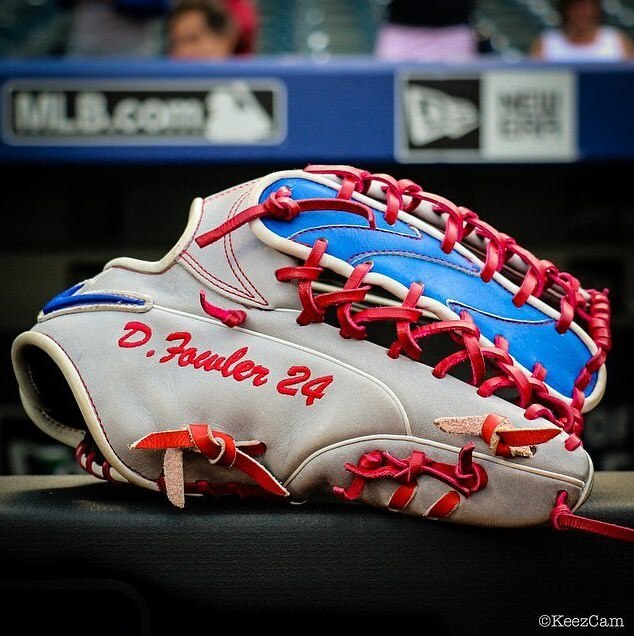 First Look at Hanley Ramirez’ New Balance 4040v2 for 2015 Jackie Robinson Day + Dustin Pedroia and Justin Upton Build Their Custom Franklin Batting Gloves Master Fresh Michael Cuddyer and His Nike Air Max MVP Elite 2 adidas x TaylorMade Unveil “RocketBallz” BBCOR Bat Mizuno’s Special Edition All Star Cleats Closer Look at the Custom Evoshield Gear Worn at the ASG Catcher’s Corner: Performance Review of Unequal Tech Protective Batting Gloves: When Will MLB Teams Protect Their Assets? 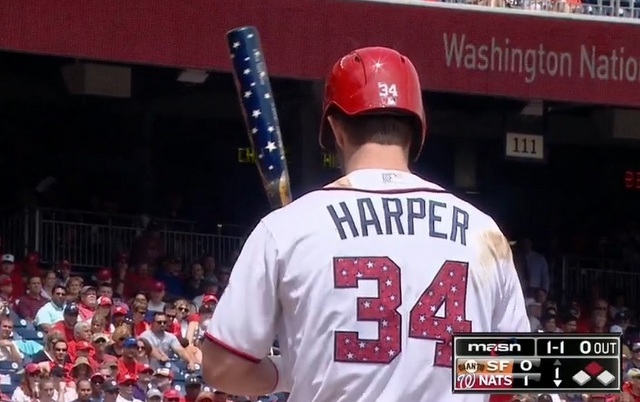 Chandler made Bryce Harpers bat. Mike, if you pause this video of Harper’s homerun at 0:04 and 0:11, you can see by the knob stamp and the logo on the barrel, his bat is in fact a Chandler. I couldn’t make out the model though. Bryce is swinging a Chandler. 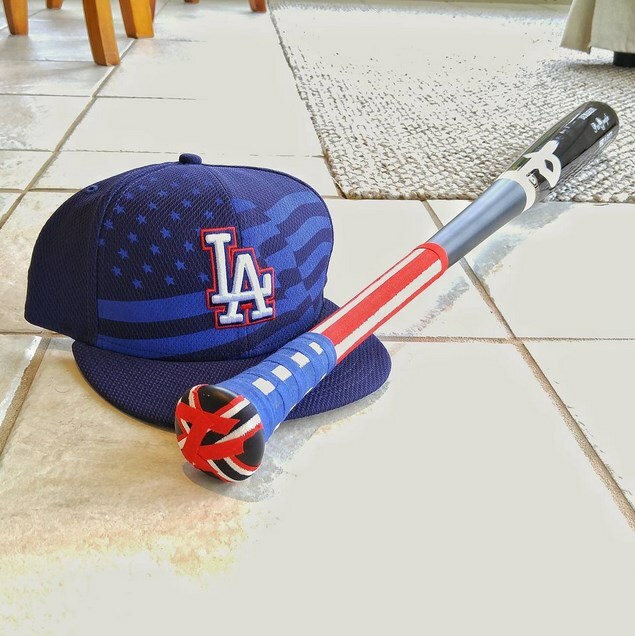 The Harper 4th of July bat was made by Chandler. Saw the game and bat label on television and some still photos. 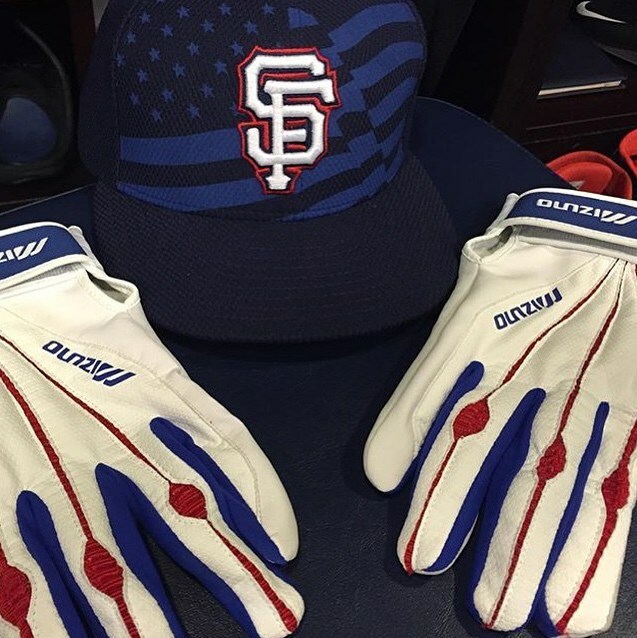 Bryce’s bat was made by chandler bat company. The bat is a Chandler. It’s hard to see in this picture because it is covered in pine-tar, but if you watch the video in this link, you can see the new chandler “C” logo on the bottom of the knob.